Munich | Initiative Stolpersteine für München e.V. 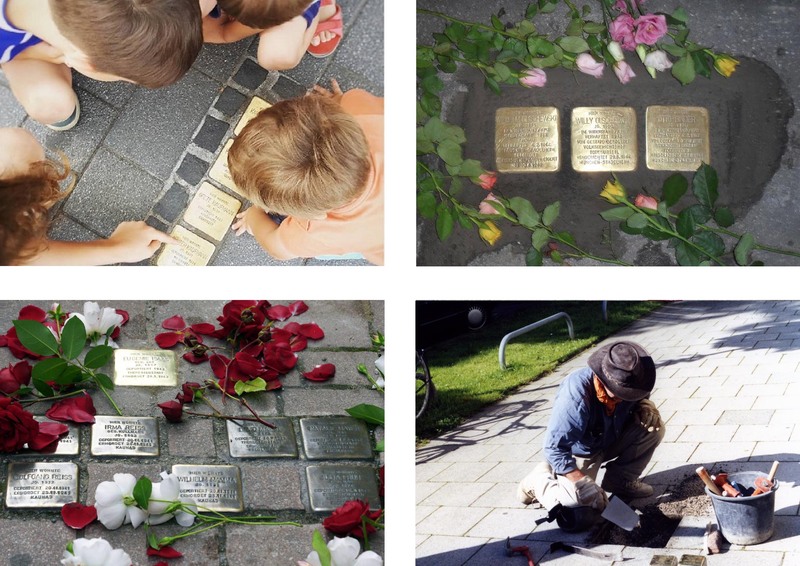 73,000 Stolpersteine in 1,600 cities in 26 countries – placed by 1,600 local organizations, each staffed by volunteers. It adds up to the largest, most inclusive and democratic project of commemoration that the world has ever seen. Each Stolperstein (“stumbling block”) commemorates a victim of the Shoah – Jew, Sinti or Roma, homosexual, persons persecuted for religious or political views or due to supposed disability (“euthanasia”). Each Stolperstein is placed in the sidewalk in front of the building in which the victim lived before being dragged off by the Nazis to be murdered. The Stolpersteine thus constitute “the palpable atlas of Jewish life and suffering” – in the words of Galit Noga-Bonai, professor of religious art at Jerusalem’s Hebrew University.